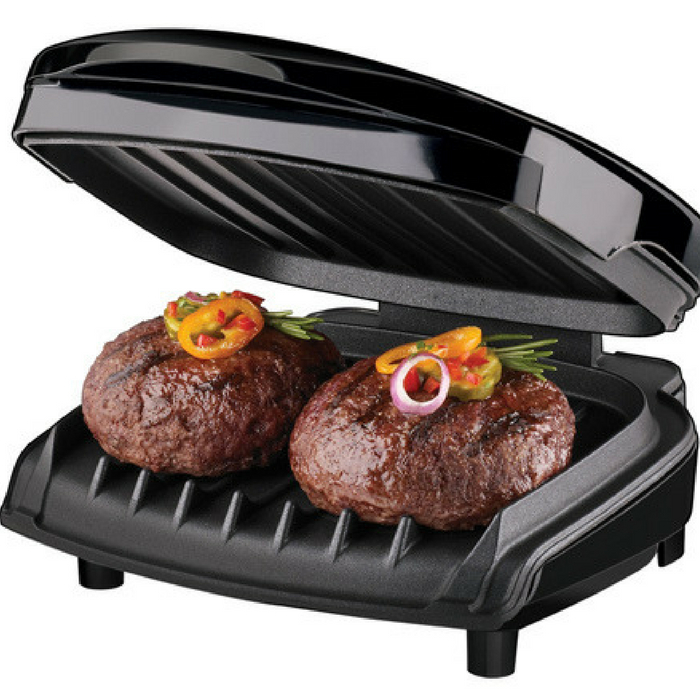 George Foreman 2-Serving Grill Just $8.99! Down From $19! You are here: Home / Great Deals / Amazon Deals / George Foreman 2-Serving Grill Just $8.99! Down From $19! This is a must have for every kitchen! Amazon is currently offering this George Foreman 2-Serving Grill for just $8.99 down from $18.95! Please note that this is an add-on item and will ship with a qualifying order of $25! This famous George Foreman 2 Serving Grill has been a worldwide favorite, both for its performance and its inexpensive price tag. With 36 square inches of cooking space, the personal grill can cook two servings of fresh or frozen grilled favorites at a time. The patented sloped design and double non-stick coating allow fat and grease to drain away quickly as the signature George Foreman elements provide even heat across the plate. Hurry before the deals ends! Note: Please note that this is an add-on item and will ship with a qualifying order of $25.